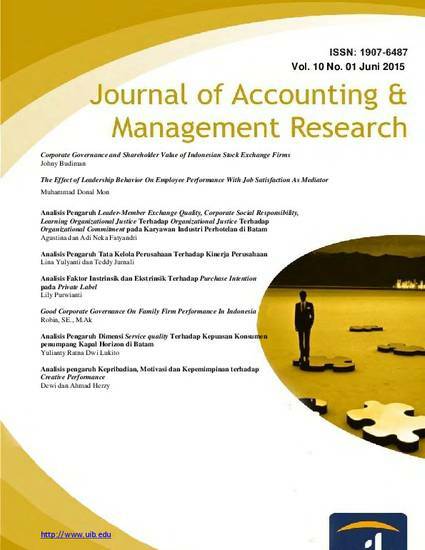 This study examines the effect of board characteristic, audit committee characteristics, and ownership’s structure to the firm performance of the Indonesia companies. The company listed in Indonesian Stock Exchange (BEI) are used as sample of the research. Panel regression is used to examine the data. The result showed that board size, board independent and audit committee size have significantly effect on firm performance, while audit committee size, audit committee independent, managerial ownership, and institutional ownership insignificantly influenced to the firm performance.